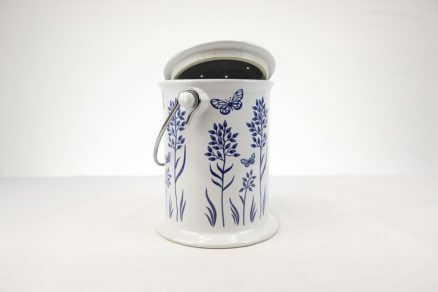 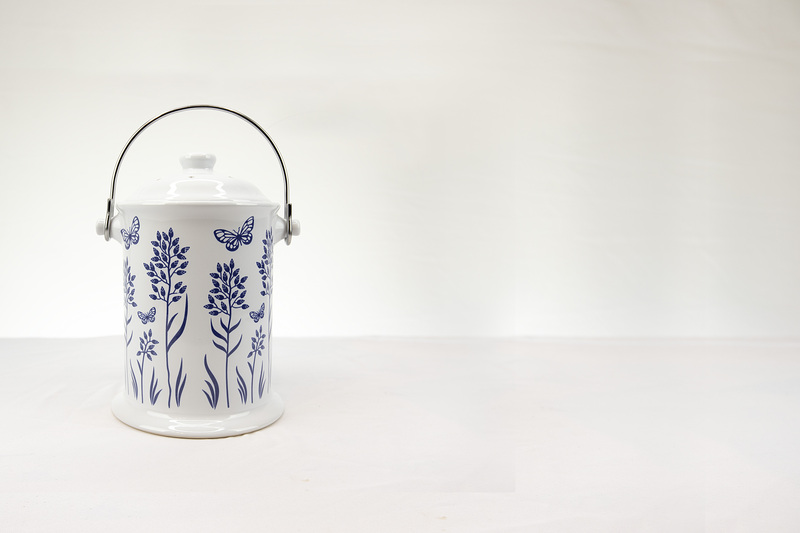 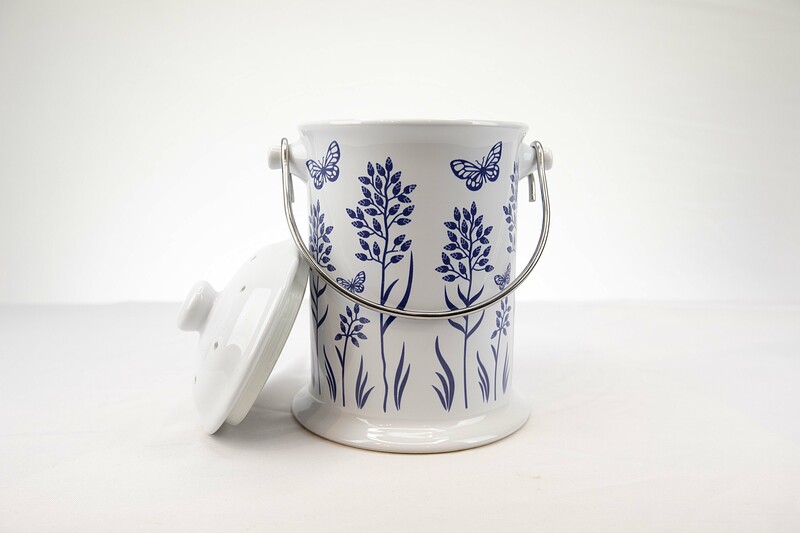 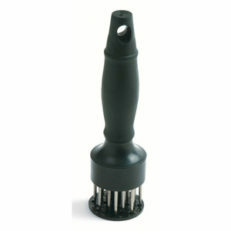 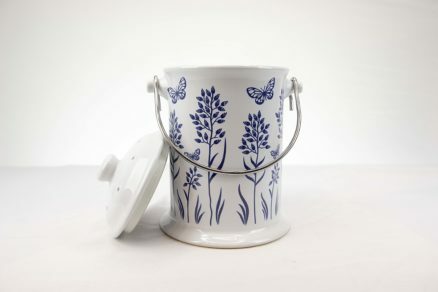 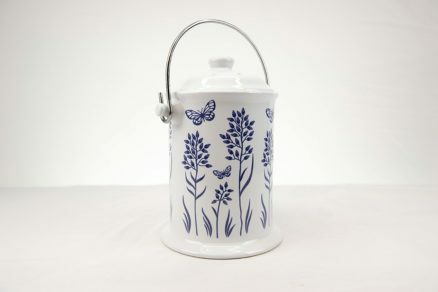 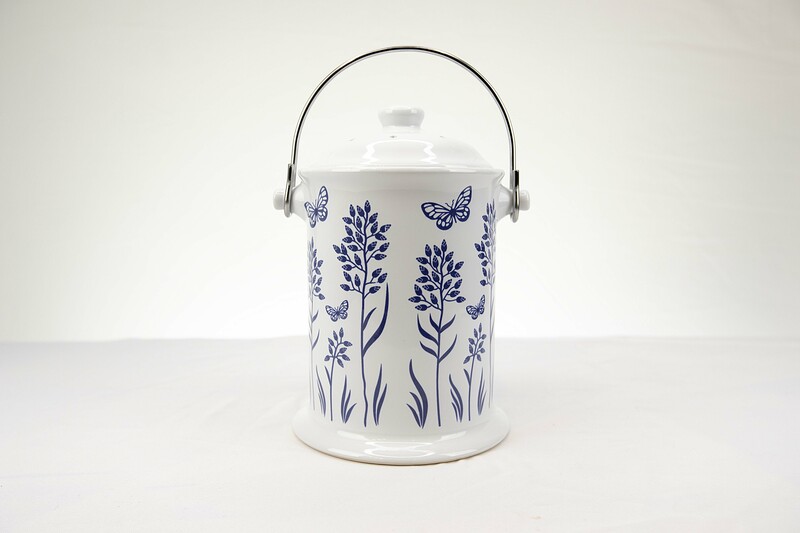 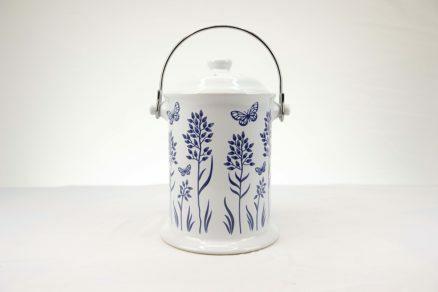 This blue-and-white floral compost keeper has a beautiful, cheery design that you can keep on your counter top. Store peelings, egg shells, coffee grounds, loose tea, herbs, flowers, fruit and vegetable scraps for transfer to your garden compost. 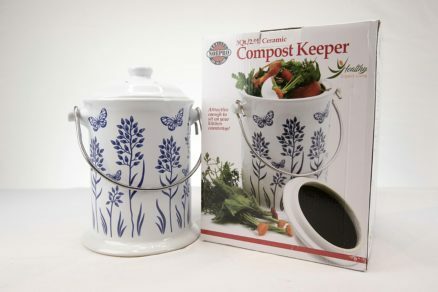 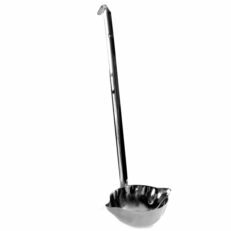 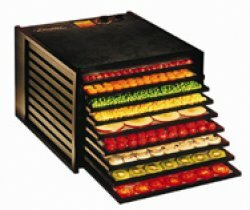 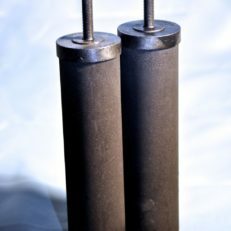 This floral compost keeper comes with a rinse-able filter that drastically reduces any odor, allowing compost to wait a few days before emptying (great all year around–most useful in winter). 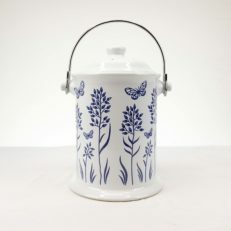 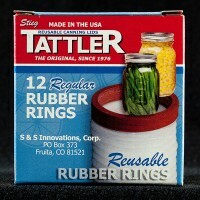 Chaya’s Note: I have had several customers buy these as cookie jars!